1. Preheat oven to 350° F. Grease 1 muffin pan and 1 8x8in pan. 2. In a medium bowl, blend together the sugar and butter until creamy. Beat in the eggs, one at a time, then stir in the vanilla. 3. Combine the flour and baking powder together and then add to the creamed mixture; mix well. Finally, stir in the milk until batter is smooth. Pour or spoon batter into the prepared pans. 4. Bake 20 to 25 minutes. Cake is done when a toothpick is inserted into it and comes out clean. 5. Let the cupcakes and cake cool completely. 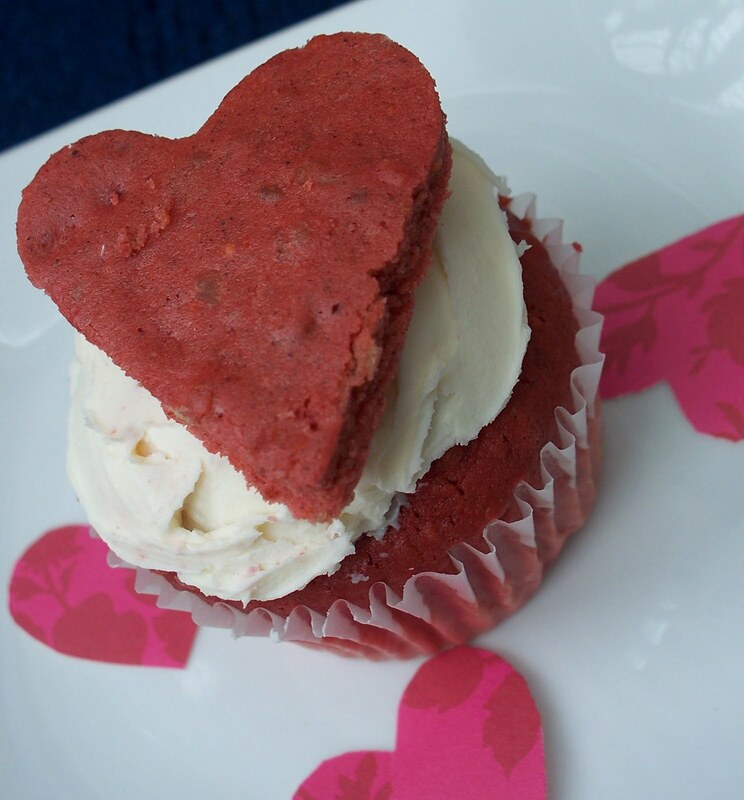 Then using a heart shaped cookie cutter, make cut outs from the 8×8 in cake. Frost the cupcakes and then put a heart on each one. My mother was going through her pin collection the other day and I happen to be over there while she was sorting through them all. Growing up, it was tradition for my brother and I to give my mother a pin at Christmas. Some of them were cute, some of them were extremely flashy, but mostly they were fun. Over the years, her collection has grown: gifts from my dad, from her friends and those she bought herself. As I was looking at them, my mind was thinking of all the possibilities that one (namely me) could do with them. Some of them would make awesome pendants for necklaces. Some would probably end up in the donate pile, but 1 in particular was destined to be worn in hair. It was a little bit old, a lot a bit classy with a hint of modern. So next time your mother, grandmother or sister is going through her old jewelry, think outside the box and you might end up with a pretty neat piece to wear, for, say, a wedding.